GM subsidiary's appeal in Olympic insignia case to be heard on May 21 | Russian Legal Information Agency (RAPSI). MOSCOW, April 20 - RAPSI. The Ninth Commercial Court of Appeals will hear on May 21 an appeal filed by General Motors Daewoo Auto and Technology CIS against a court decision upholding the antimonopoly watchdog's conclusion that the company illegally used Olympic insignia. 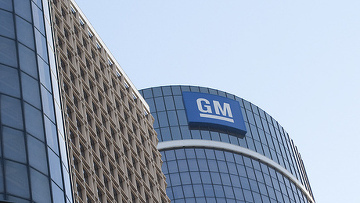 In February the Moscow Commercial Court ruled against the GM subsidiary, which sought to overturn the watchdog's decision of June 23, 2011 and to reverse its order fining the company for 23.27 million rubles ($785,200). In June 2011 the Federal Antimonopoly Service and the Sochi-2014 Organizing Committee claimed that the company was engaged in unfair competition by using Olympic symbols to sell Chevrolet cars. One of the violations stated included the naming of one of the car colors, "Olympic white." The watchdog's ruling holds that "Olympic" is a protected verbal component of the Olympic Committee's trademark, which has been registered for several goods, including motor vehicles. The watchdog also stated that only Volkswagen Group Rus, the official partner of the Winter Olympics in Sochi, is authorized to use Olympic symbols when advertising cars in Russia. No such agreement was made with General Motors Daewoo Auto and Technology CIS or Chevrolet dealers. GM Daewoo Auto and Technology CIS imports and distributes GM Korean models. 12:34 20/04/2012 The Ninth Commercial Court of Appeals will hear on May 21 an appeal filed by General Motors Daewoo Auto and Technology CIS against a court decision upholding the antimonopoly watchdog's conclusion that the company illegally used Olympic insignia.